Daniel C. Carter, Ph.D. - New Century Pharmaceuticals, Inc.
Dr. Carter has served as the President and CEO of New Century Pharmaceuticals since 1997. 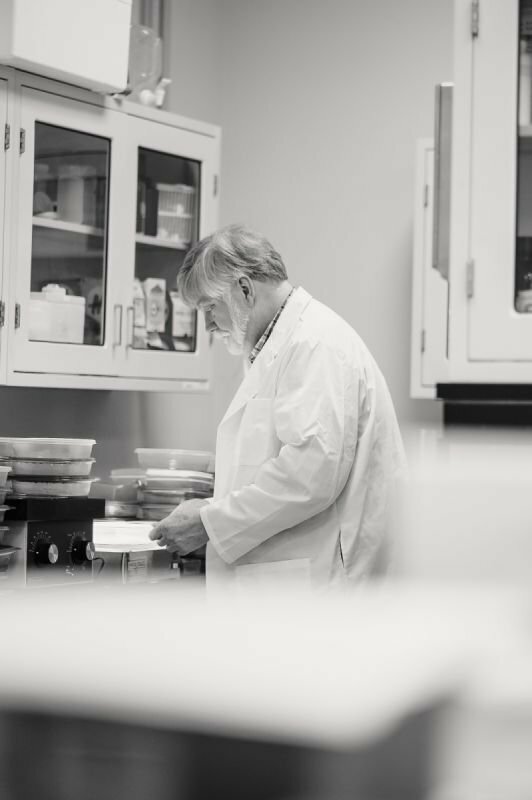 With a passion for science in the public interest, Dr. Carter maintains an active role in research with extensive experience in molecular structural biology, protein engineering, protein production and related microgravity applications. In 1997, Dr. Carter co-founded New Century Pharmaceuticals, a company whose early focus was on understanding the biophysical and biochemical basis for the binding of ligands to the principal blood protein human serum albumin for purposes including the development of safer and more effective drugs. Under his direction, the company accomplished a multi-year multi-million dollar survey of albumin structure and chemistry at the atomic resolution which has provided unprecedented understanding and drug development insight into this important blood protein. Other accomplishments include patented anti-cancer therapeutics, nanomaterial-based vaccine and drug delivery platforms, novel warfarin-based blood thinners and important patented transgenic animal models. Prior to starting New Century, Dr. Carter was employed by NASA for a period of 11 years in progressively more responsible positions including Chief of the Biophysics and Advanced Materials Branch and the SES appointment as the NASA Senior Scientist for Biophysics. He founded the Laboratory for Structural Biology at Marshall Space Flight Center and he was the Principal Investigator of the structural biology group that originally discovered and refined the atomic structure and chemistry of human serum albumin, the major protein of the circulatory system. While at NASA and New Century, Dr. Carter also served as the Principal Investigator on an extensive series of multi-user microgravity experiment payloads carried out on board the Space Shuttle, Mir and International Space Station which included a large international co-investigator group of scientists from academics and industry. During his tenure at NASA, Dr. Carter was the recipient of many awards including NASA Inventor of the Year Award(s) and the NASA Exceptional Service Medal. Dr. Carter is the inventor or co-inventor on more than 26 patents/patents pending and authored more than 60 scientific publications including important publications in Science and Nature. Dr. Carter earned a Ph.D. in Crystallography in macromolecular structure determination from the University of Pittsburgh, a M.S. in Organic Chemistry emphasizing pharmaceutical derivations from marine natural products from The University of Hawaii and a B.S. in Chemistry and B.A. in Psychology from the University of Oklahoma.